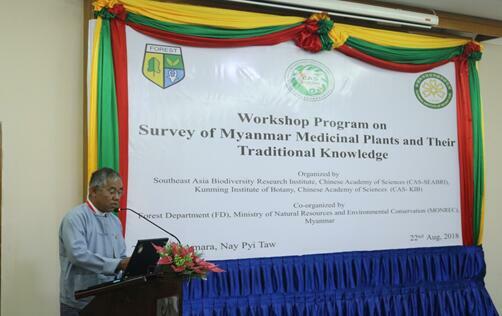 Myanmar is rich in medicinal plants and its related traditional knowledge. At least more than 1,500 species were noted with medicinal value. 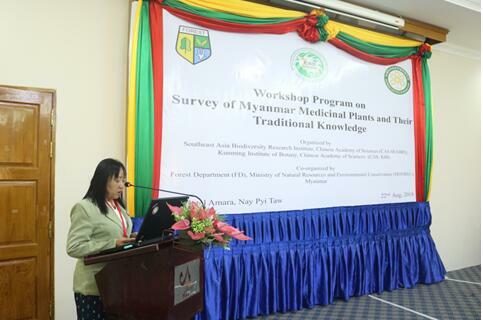 Although widely used in Myanmar as a major source for health care, little medicinal plants were used by 135 ethnic. Information is available about the diversity, the scientific description and the traditional uses of medicinal plants. More importantly, the traditional medicinal plants and their knowledge is under threats due to over exploration, land use change, shift of livelihoods and the impact of globalization and western medicine. Critical and urgent to record the medicinal plants used by ethnic groups, to collect the specimen for scientific identification, to systematic documents the traditional uses of medicinal plants, to provide the scientific evidence of the traditional practice, to formulate the sound based conservation and management plan. 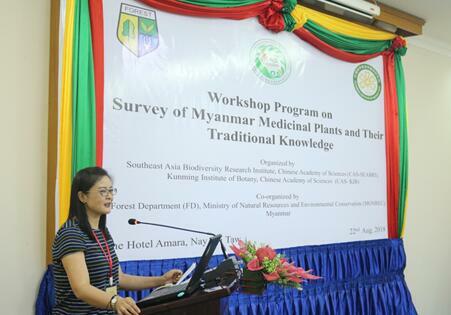 To facilitate the fulfillment this aim, a workshop entitled “Survey of the Myanmar Medicinal Plants and their Traditional Knowledge” was organized by Southeast Asia Biodiversity Research Institute (CAS-SEABRI), a joint research institute under the collaboration of Ministry of Environmental Conservation and Forestry, Myanmar and Chinese Academy of Sciences, with the purpose to establish a network for systematic inventory, documentation and database construction of the medicinal plants and their traditional knowledge in Myanmar through an ethnobotany methodology, at Amara Hotel, Nay Pyi Taw during 21-22 Aug 2018. 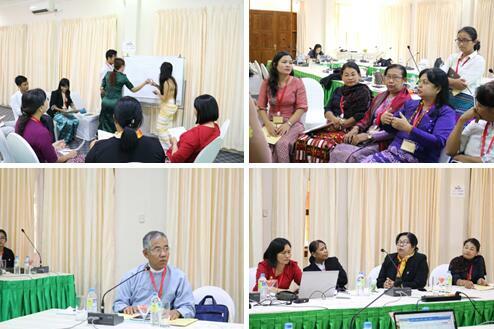 Twenty-five participants from both Myanmar and China participated the workshop. Dr. YANG Xuefei, delivered the opening speech on behalf of organizing committee. Dr. Kyaw Thein Htay, Acting General Director of Department of Traditional Medicine, Ministry of Health and Sports, and Dr. Mu Mu Aung, section head of Forest Research Institute delivered welcome notes and opening remarks. During the workshop, the information of current status of research, the common framework of the methodology, and the future direction of activities were exchanged and discussed amongst the participants of the workshop. Suggestions and supports were provided to the Pilot research projects. 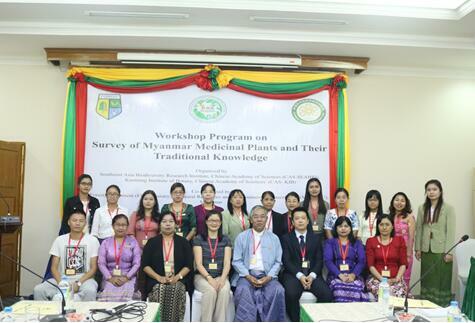 During the discussion, all the participants agreed to form a network on surveying the medicinal plants in Myanmar. Better understanding among the stakeholders, community awareness, trust building, enhancing agreement level among the government organizations as well as private sectors were considered to be important issues to lead successful establishment of the network. Universities and organizations agreed to support academic data sharing (especially among the government to government approach), to promote academic exchanges, joint research and joint publication to international journals. The workshop was successfully concluded with the closing remarks by Mr. ZHAO Tong, Second Secretary, Embassy of the People's Republic of China in the Republic of the Union of Myanmar. After workshop, we visited University of Yangon, University of Mandalay, University of Traditional Medicine, University of Taunggyi, Department of Medical Research, Ministry of Health and Sport and Popa medicinal plants garden.